If you haven't heard of Kirsten Grove, interior stylist, author, and creator of the blog Simply Grove, drop everything you are doing and go check out her incredible design skills right now. 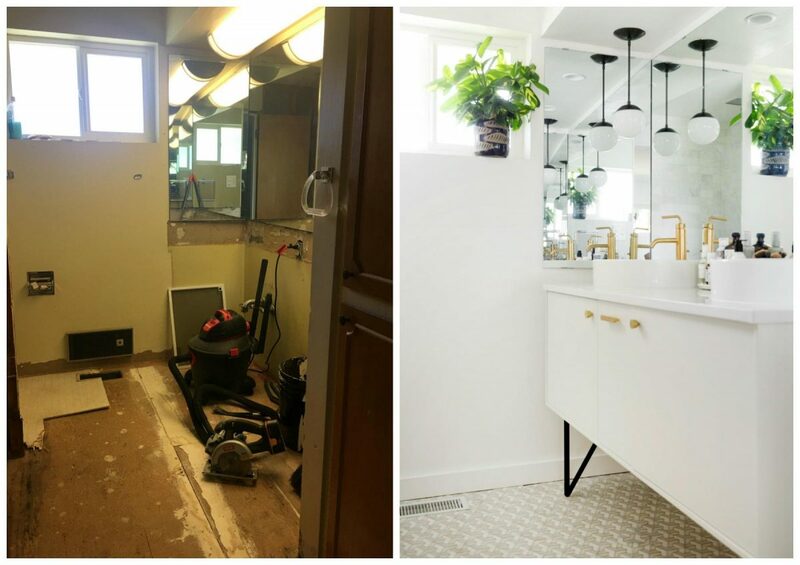 We have been following her for awhile, so we were more than thrilled when she decided to use our tiles in her own master bath renovation. Since buying the home of her dreams in West Boise last May, Kirsten has been effortlessly tackling and restyling each room of their spacious, one-story home and turning it into a modern, mid-century dream. 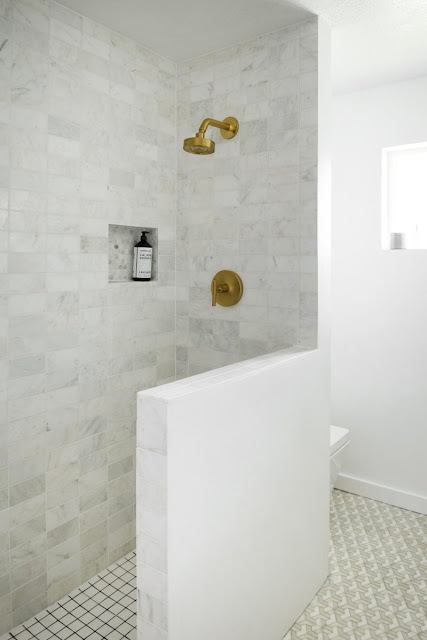 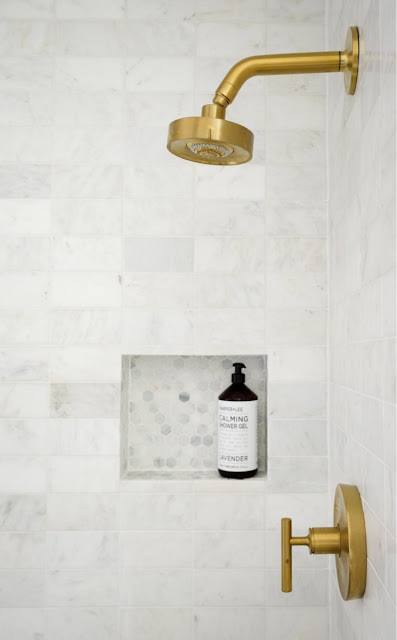 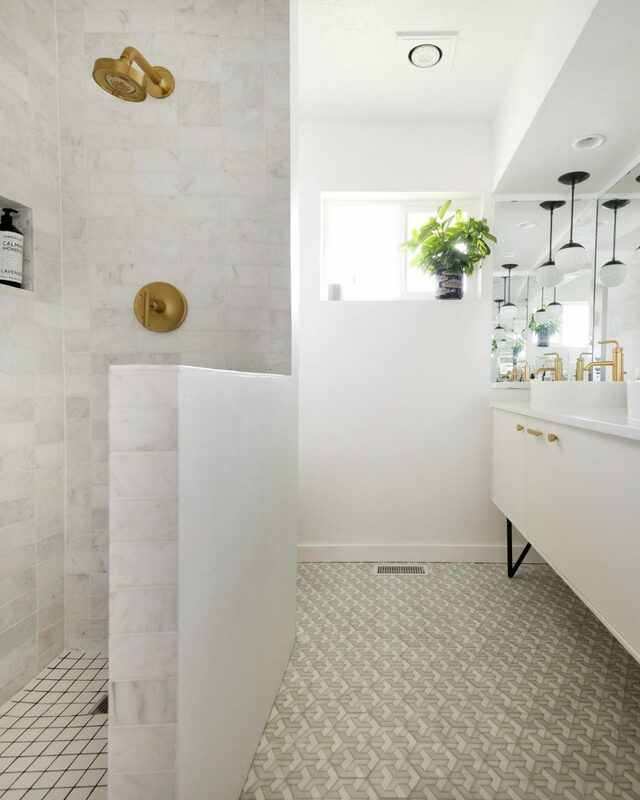 When choosing the perfect tile for her master bathroom, she wanted something modern for the floors and something clean for the shower and bathroom walls. 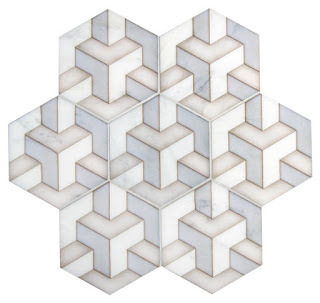 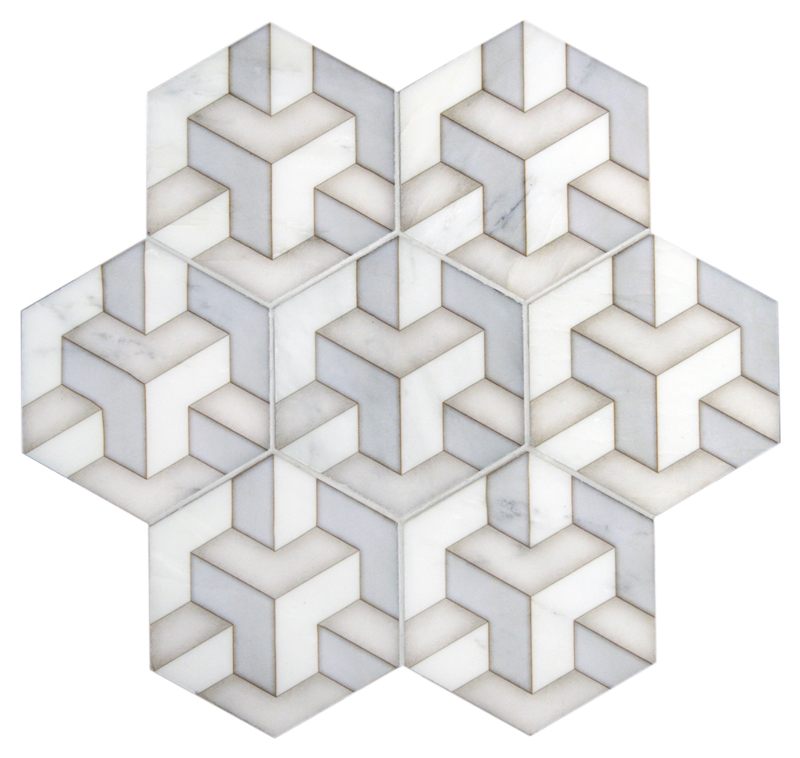 After a little deliberation and going through samples, she settled on a mod hexagon tile from the Alston Tile Collection. For the surrounding walls, Kirsten kept it simple with a gorgeous carrara subway tile and mini hexagon tiles for the shower niche. 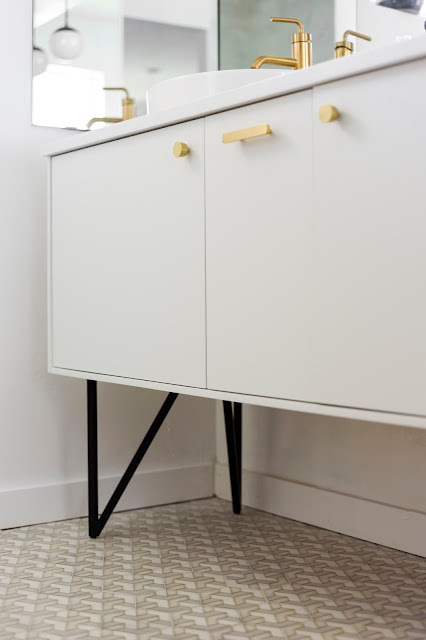 When we shipped off the tile to Kirsten, we really had no idea how her master bath renovation was going to turn out, so when we got back these images from her, how could we not do a little happy dance in our office? 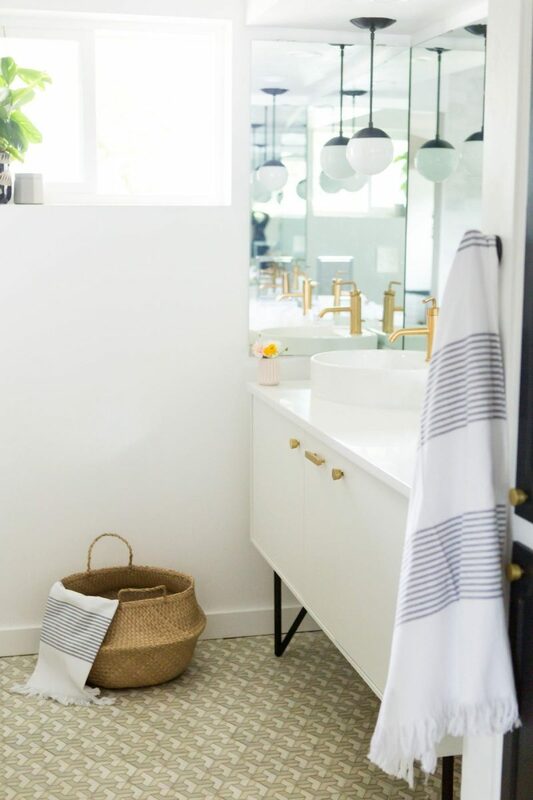 From the smaller details such as fixture placement and faucet material to the tile pairings and colors, everything in this master bathroom came together cohesively and went above and beyond our imaginations.